While you need to pack all the essentials for vacation, it's the extras that can really make downtime fun — like this retro-style beach radio. It comes in bright cherry red (plucked straight from a Slim Aarons photo) and its portable design makes it easy to grab and go — all you need to do is plug in your phone and you'll be the official poolside DJ. All that's left to do is make the perfect playlist. 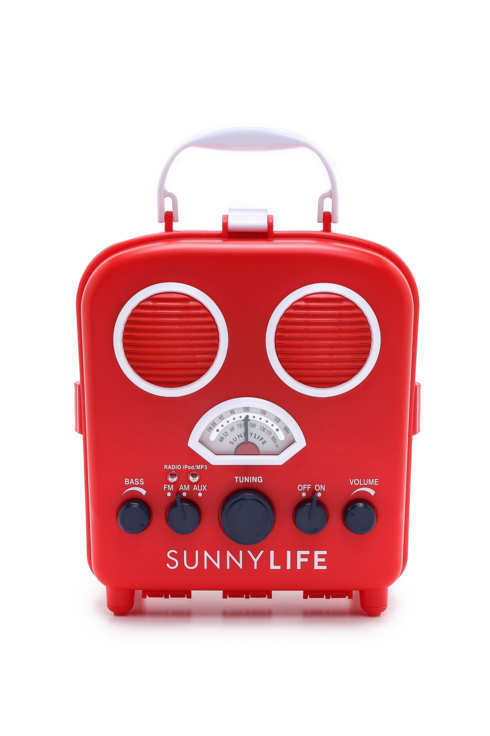 SunnyLife Beach Sounds Speaker & Radio, $50 at Shopbop.